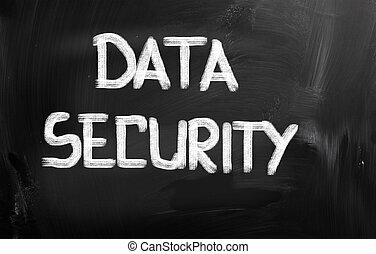 Computer data security concept. 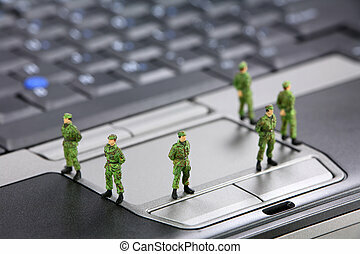 Miniature military soldiers are standing on a computer keyboard guarding it from viruses, spyware and identity thieves. 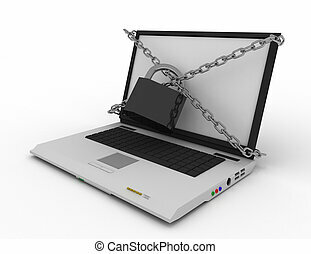 computer security concept. 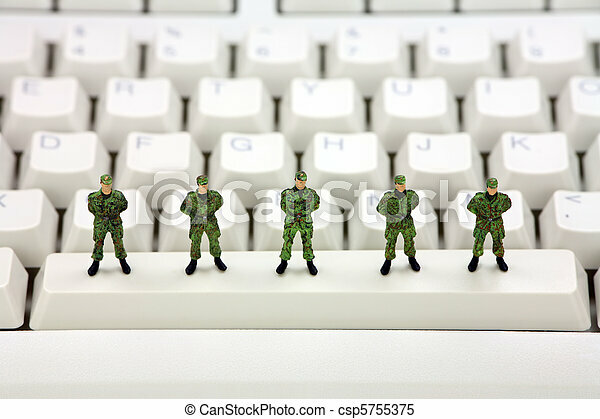 Miniature military soldiers are standing on a computer keyboard guarding it from viruses, spyware and identity thieves. Computer security concept. Computer data security concept. 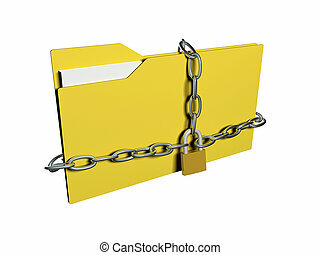 Computer folder with with chain and padlock. 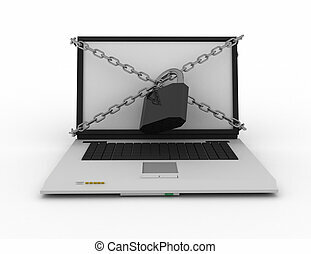 Internet, web and computer data security concept with padlock icon and symbol on a blue laptop key for website and online business. 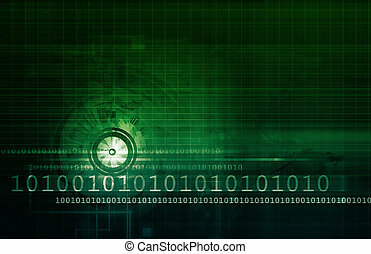 Internet, web and computer data security concept with padlock icon and symbol on a green laptop key for website and online business. Internet, web and computer data security concept with padlock icon and symbol on a red laptop key for website and online business. 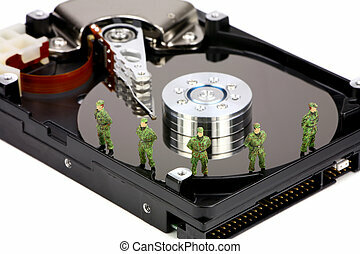 Miniature military soldiers are guarding a computer hard drive from viruses, spyware and identity thieves. 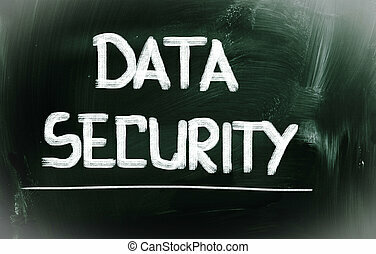 Computer data security concept. 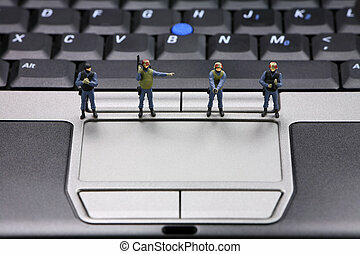 Miniature swat team is guarding a laptop from viruses, spyware and identity thieves. 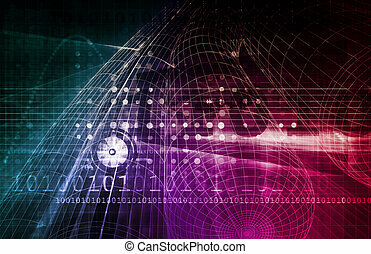 Computer security concept. 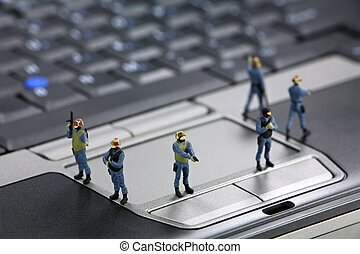 Miniature military soldiers are guarding a laptop from viruses, spyware and identity thieves. Computer security concept. 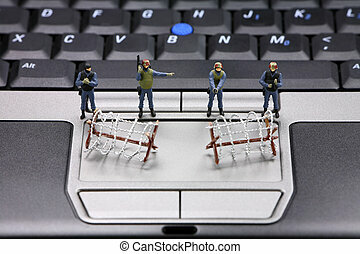 Miniature swat team and barbed wire are guarding a laptop from viruses, spyware and identity thieves. 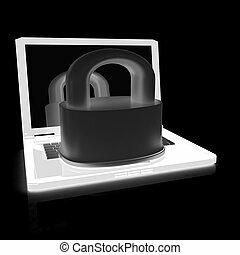 Computer security concept. 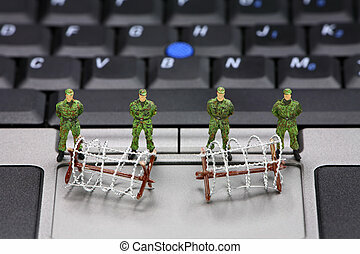 Miniature military soldiers and barbed wire are guarding a laptop from viruses, spyware and identity thieves. 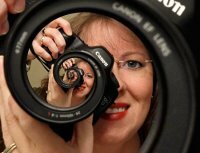 Computer security concept. 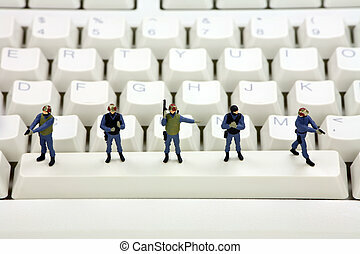 Miniature swat team is standing on a computer keyboard guarding it from viruses, spyware and identity thieves. Computer security concept. 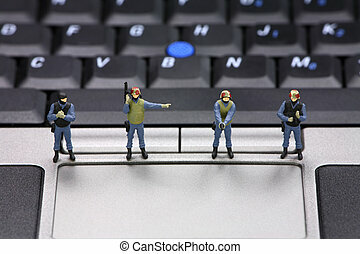 Miniature swat team are guarding a laptop from viruses, spyware and identiy thieves. Computer security concept. 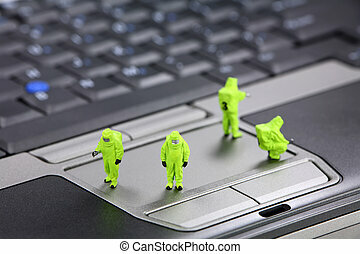 Miniature HAZMAt (hazardous materials) team inspects a laptop computer for viruses, spyware, and trojans. Computer security concept. 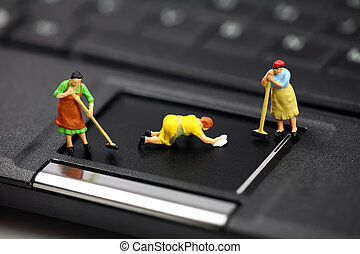 Miniature maids or cleaning women on a laptop computer. 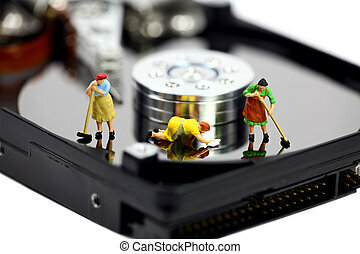 They are cleaning viruses, spyware and trojans. Computer security concept. 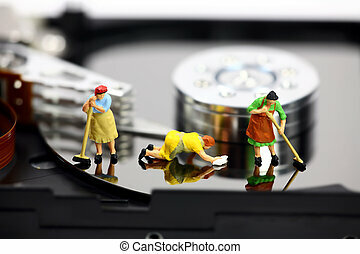 Miniature maids or cleaning women on an open computer hard drive. 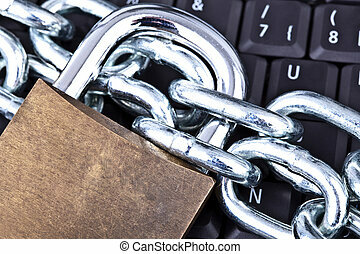 They are cleaning viruses, spyware and trojans. Computer security concept. Miniature military soldiers are guarding a laptop from viruses, spyware and identiy thieves. 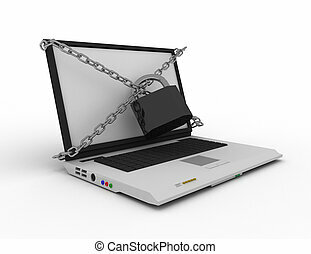 Computer security concept. 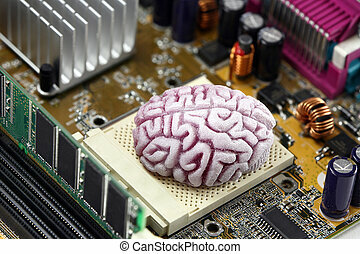 Concept image of a brain acting as the CPU on a computer motherboard. 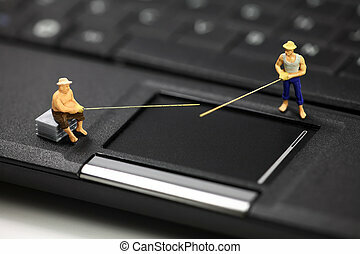 Miniature fisherman representing online email phishing scams. Online phishing and identity theft concept.